Beginning as an association of musicians who play together in other ensembles, Festival Brass of Raleigh got its formal start in 1999. Members of the group come from a variety of backgrounds, including network and software engineers, a graphics artist, a high school vice-principal, and a retired marketing specialist. All share the love of music as a serious avocation and the joy of bringing brass music to the public. 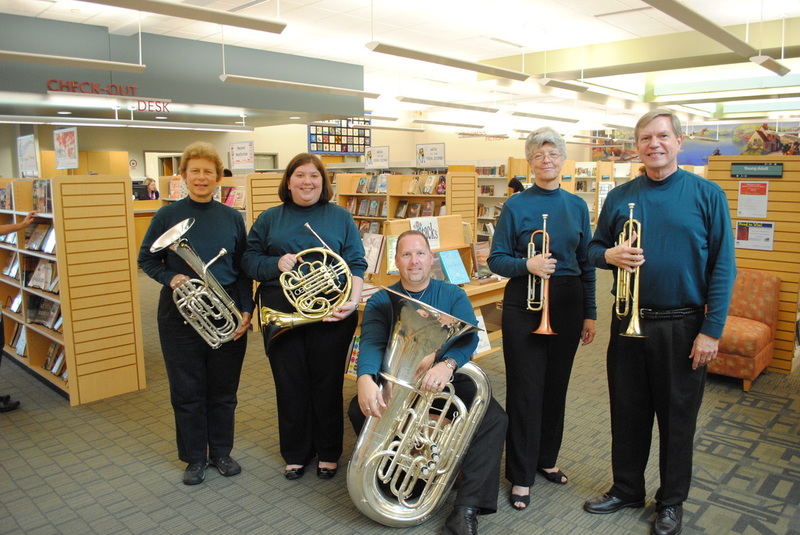 Festival Brass has performed for weddings, University ceremonies, Christmas tree lightings, and Christmas luncheons. They were featured performing a work commissioned from the pen of Triangle Opera Theatre Director Scott Tilley, “A Fanfare for Ella Fountain,” at the Durham Arts Council presentation of the same name. They performed on Raleigh’s First Night Celebration in 2003. The repertoire of the ensemble is drawn primarily from the finest works for brass quintet and encompasses light classical, folk songs, show tunes, jazz, swing, patriotic tunes, and marches.